The most important link in your entire security system is often found running exposed along the backside of your home and into the basement - your phone line. If someone were to cut that line, or if a tree limb fell on lines down the street even, your alarm system would not be able to communicate with emergency responders during a crisis. Even broadband phone lines and internet communications can fail when you need them most. That is why Shield Alarm Systems are backed up by radio communication, known as secured monitoring, that functions even when your phone lines are out. A wireless radio signal is sent across our proprietary network and received at our Response Center in just a few seconds, notifying us of an emergency. In an age of digital phones, VOIP, telecommunications industry consolidation, and unreliable phone service, make sure your system can stay in touch with us, with or without your main phone service. 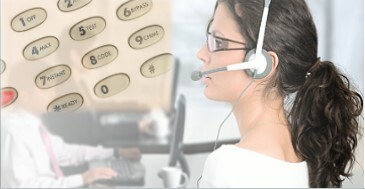 Allows your system to communicate even if your phone lines are cut or damaged. Signal communicated via Shield's own proprietary radio network. Ideal for customers who use digital ("VOIP") telephones. 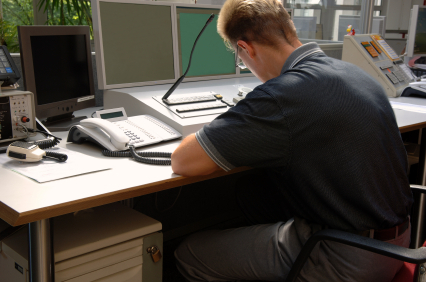 Secure communication for your emergency signals, even in the insecure world of global telecom. Inquire about Shield Alarms's Security System Monitoring for your home or business. Click here for more information or call 585-671-0996. Perhaps the most valuable part of any security system is the health safety component. 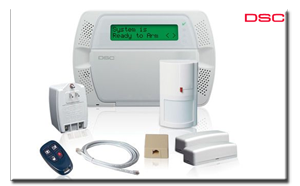 Your custom Shield Alarm Security System can be equipped with monitoring devices that are crucial to the health and well-being of your family. Options such as carbon monoxide detectors, low temperature sensors, and water & flood detectors are monitored 24/7/365, whether you arm your system or not. Carbon monoxide can quickly render you unconscious, and thus unable to hear the detection alarm. CO detectors are designed to measure CO levels over time and sound an alarm before dangerous levels of CO accumulate in an environment, giving people adequate warning to safely ventilate the area or evacuate. Learn all about the components that go into a security system and some of the new technology available to help protect your family and your home. Shield Alarms uses this technology from DSC. DSC Alexor KIT495-12CP01 is an DSC Alexor system kit that features the Alexor PC9155 two way wireless panel, the newest 32 zone wireless system DSC has to offer. The Alexor has quick wireless enrollment, template programming amd features an onboard siren at 85db, 500 event buffer, and 24 hour battery backup. Shield Alarm Systems will go over your needs and find you the best solution to keep your family safe and secure.